I didn't see any threads related specifically to the 8HP uT_u build, there are some gotchas that may help your builds go smoother. U12 is oriented different than the other TL072s. It's shown correctly on the silkscreen, but easy to miss. 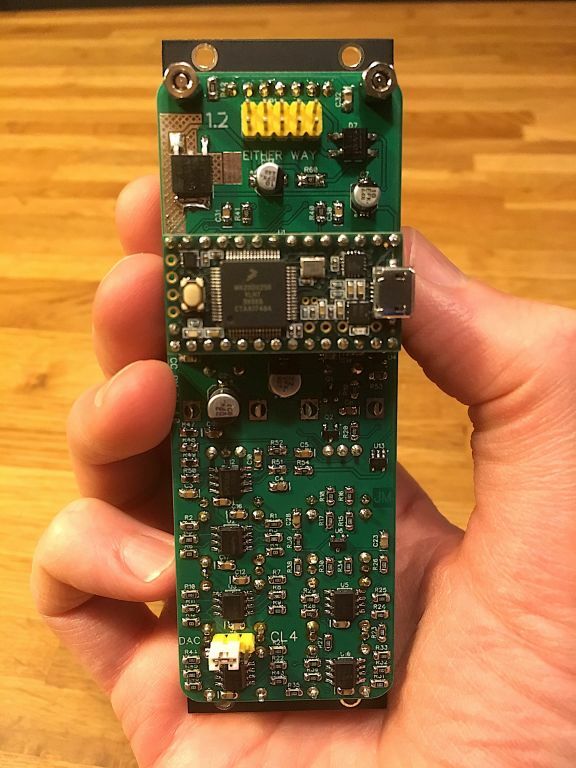 Also note: the Teensy is mounted in a different orientation than the uO_C. 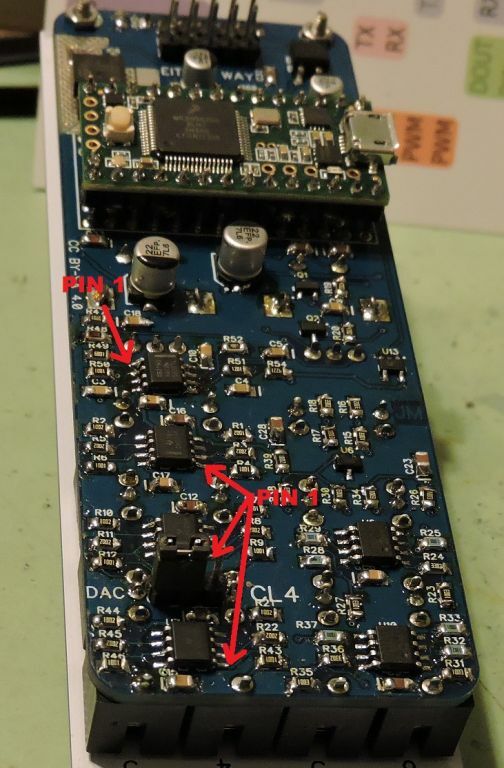 If you want to use the DAC functions of the Teensy, you will need an additional pin that the uO_C did not use. Again, easy to miss. Hope this helps others not fall into some avoidable traps. what switches did you use? there's no part number specified in the BoM so it's kind of tough to figure out what'll work. cheers mate, this helped a lot. they're out of the 250 gram switches right now on mouser so i got the 160s instead but it was the form factor that was most important. I can't seem to source 4.2k 0805 resistors for part R54. Anyone know if 4.22k will be OK instead? Chalk me up as someone this post helped! 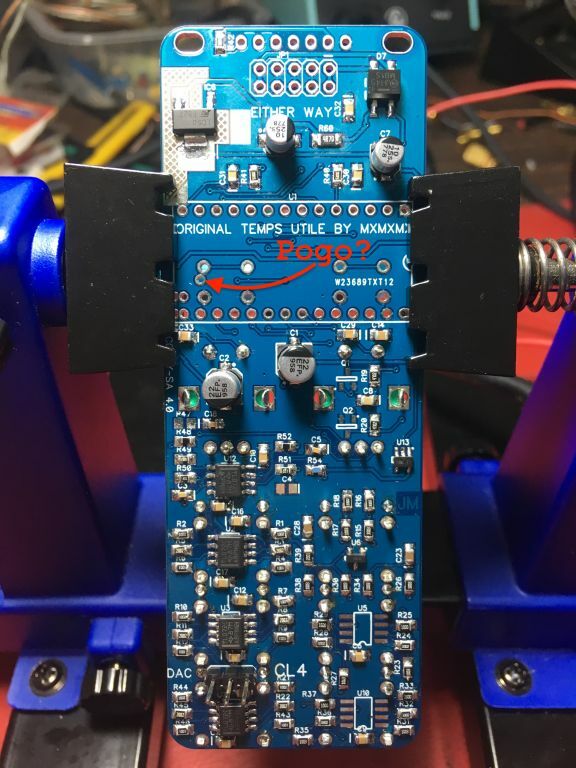 I thought I would also share something that might also help someone, the screenprint is so small and in some areas obscured and a little hard to read I made this picture to print out and have next to me while soldering it made locating component placement easier. Iv'e finished my build and I am having trouble getting it to work. 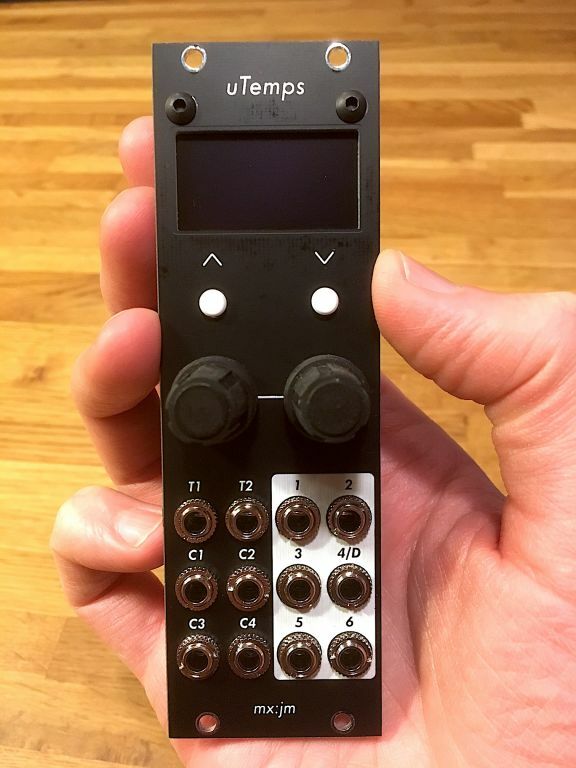 all the inputs work fine but the 6 outputs are not. When hooking it up to my scope I see the the triggers are only at 0.2 Volts. I have no idea whats going on. I think it could be the Op-amps. Is it intended that the .dip and .sch files are not into the github repo https://github.com/jakplugg/T_u ? the µO_c repo has them. It is always a bit tedious when you look for components location in the rendered pdf. Mine now up-and-running (all worked first time, which is rare, for one of my builds ). Looking good @toneburst – thanks for getting a panel. Hey all. I see the DAC isn't listed on the BOM for the uTemps. I can see on the board it's some sort of three pin through hole thing. Any suggestions of what to get? I've almost finished my build - just need the DAC. Did you use the 4.22k in the end? Did it work fine? I don't have the schematic, but a standard 4.2k 1% tolerance resistor can have actual resistance from roughly 4.16k to 4.24k. Using a 4.22k (at +-1% tolerance roughly 4.18 to 4.26k) in its place should be perfectly fine. If the spot in the schematic seems to require a very exact precision resistor (I doubt it, in that case it would probably be specified a 0.1% resistor) or one is OCD-inclined, it's always possible to measure that the actual resistance falls within that particular treshold. a standard 4.2k 1% tolerance resistor can have actual resistance from roughly 4.16k to 4.24k. Using a 4.22k (at +-1% tolerance roughly 4.18 to 4.26k) in its place should be perfectly fine. 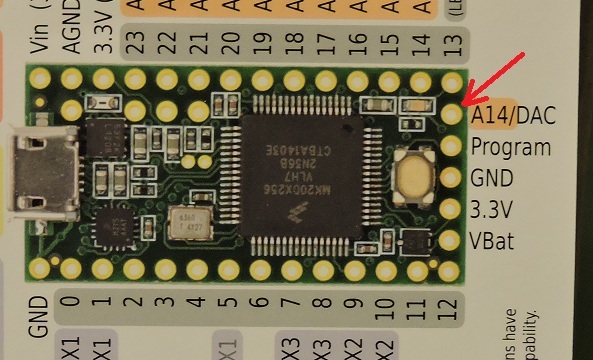 I have a µT_U which does not have the reset pad labeled, so I do not know where or how to place the pin. Help? I still don't know how to place it. 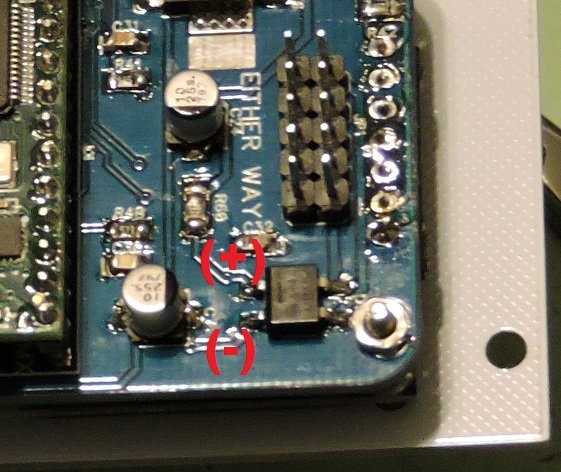 Solder onto the board so that the tip touches the "rst" on the teensy? No, that's a via. If you had it it would be on the right side. That's the old board.